Elephant Nature Park, Thailand. 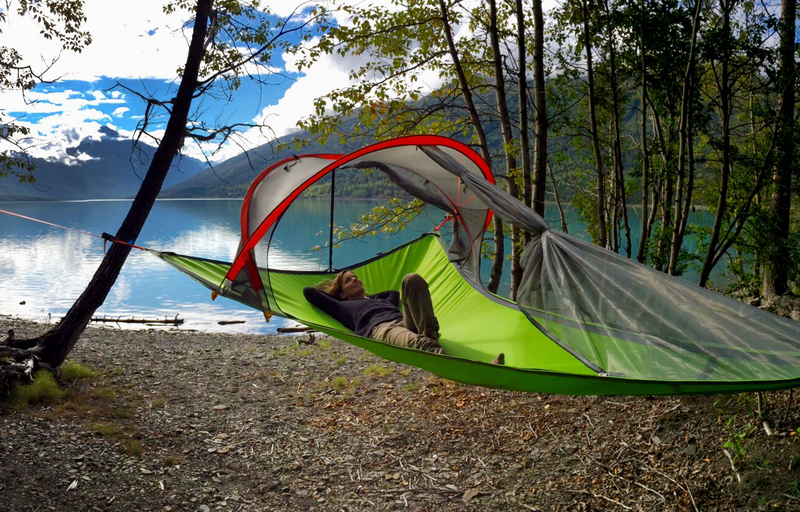 How I celebrated my 30th birthday. 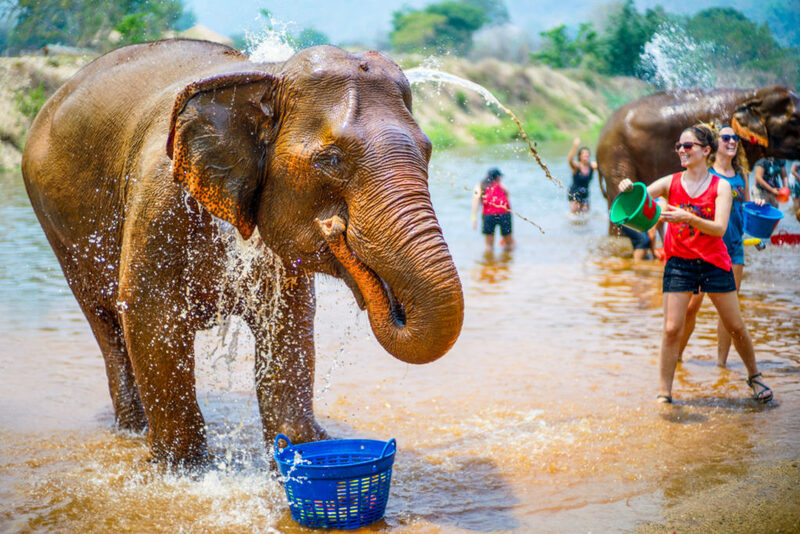 Elephant tourism in Thailand is enormously popular, but it has a dark side. Many times elephants are treated cruelly by their handlers, shortening their lifespans and damaging their physical and mental health. 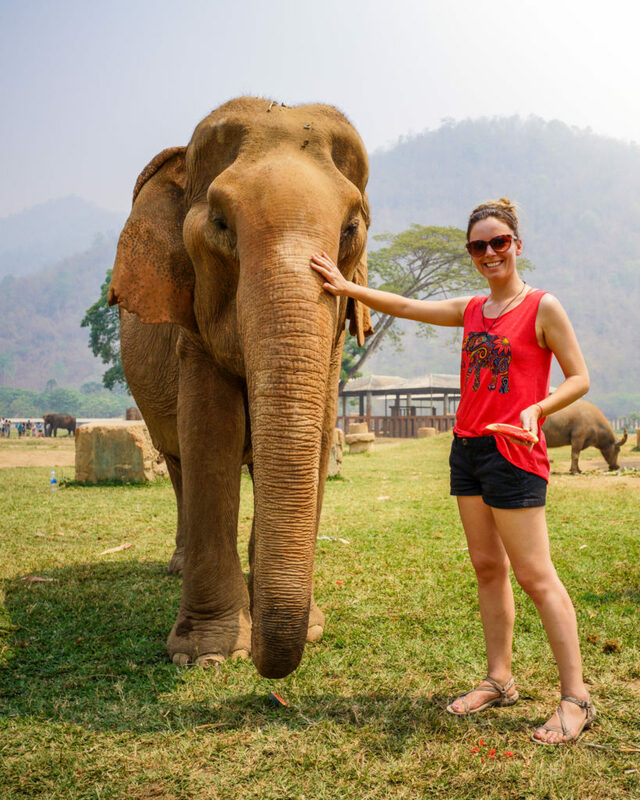 This is why when I visited Thailand for my 30th birthday, I chose to visit Elephant Nature Park – a sanctuary for abused elephants. I used to believe, like many other tourists: we ride horses, why not elephants? The fact is, the training of these gentle animals relies heavily on abuse. In some cases, a young elephant is separated from his/her mother and put under physical and mental stress. Hooks, chains and ropes are used to hurt and intimidate the helpless creature. Some animals will try to commit suicide during the process. Before meeting the elephants at Elephant Nature Park, I was shown a film showcasing elephant cruelty in Thailand. It was difficult to watch, but important to understand. Some tourists had to look away from the film. We were all affected. 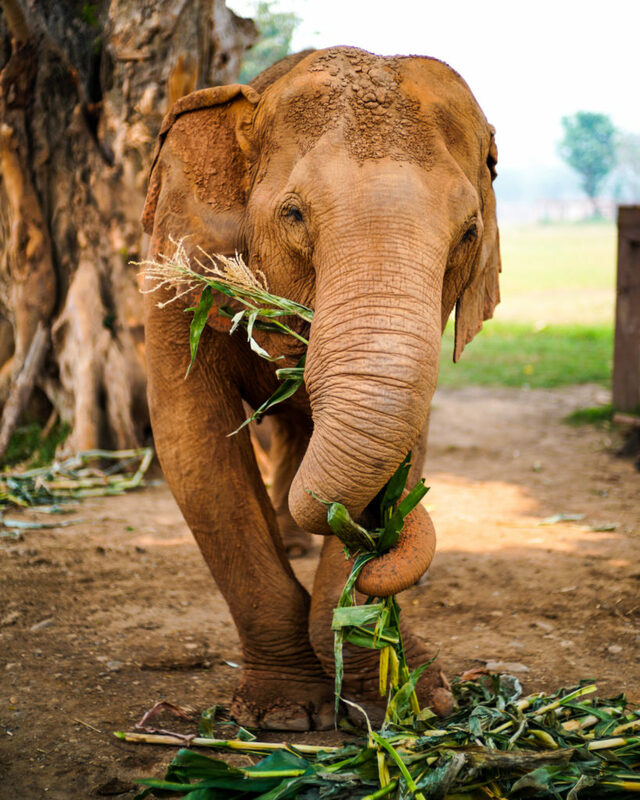 In Thailand, elephants are used for labor and entertainment. Logging elephants are injured on the job. Trekking elephants are overloaded and forced to march for miles a day. Circus and street begging elephants lose their eyesight at a young age and can become crazed. 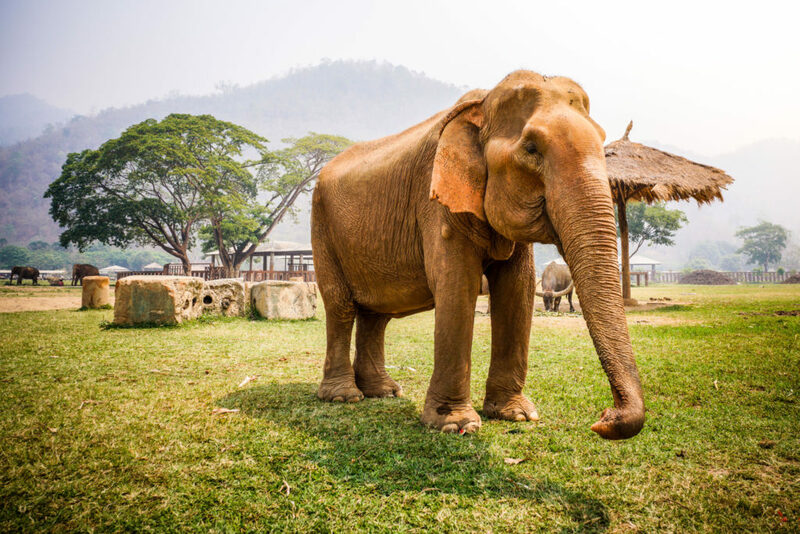 Elephant Nature Park purchases injured elephants and brings them to the sanctuary. Many of the elephants at ENP worked for decades, but now they enjoy an all-you-can-eat fruit buffet, daily baths and plenty of room to roam! 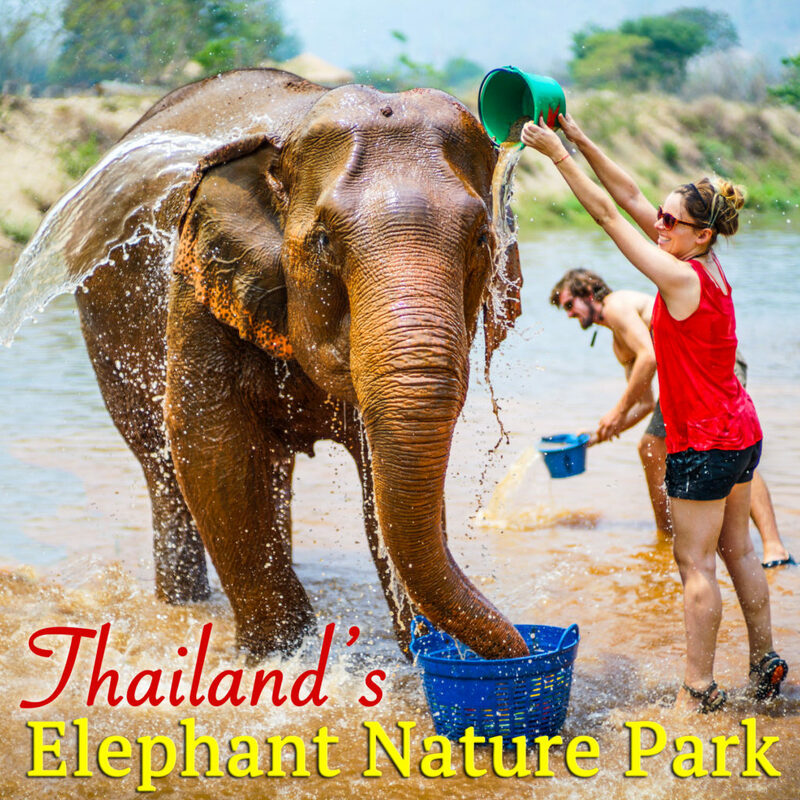 A half day visit to Elephant Nature Park costs 2,500 baht ($73 USD). 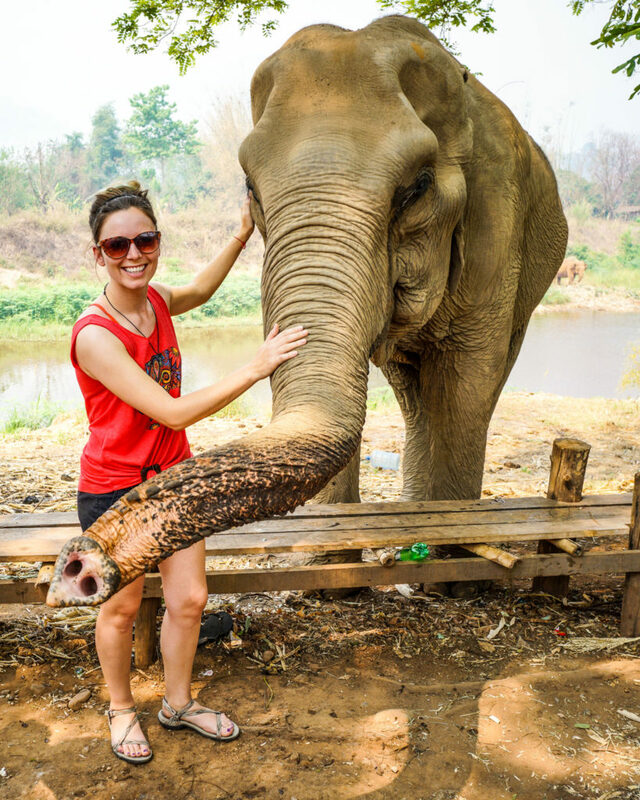 On the tour, I spent five hours walking and playing with the elephants. I fed them fruit and felt their long sloppy trunks wrap around me. After a traditional Thai lunch, I bathed an elephant in the river. Seriously, who am I? Bathing elephants on my birthday?! I was happier than Kristin Bell with a sloth. 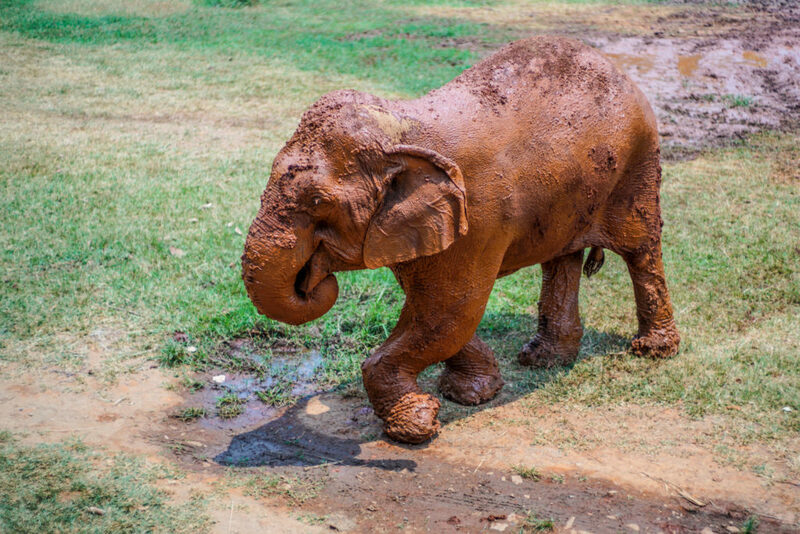 The elephant I bathed is named Kabu. She is 30 years old, and I felt an immediate connection with her because of our age. Basically, she’s my BFF. Don’t make fun of her weight or her limp, or I’ll f*ck you up! Ahem… where was I? Before being rescued, Kabu worked as a logger until she broke her ankle on the job. A trekking company then purchased her, and she carried tourists on her back, even with a broken ankle. Ironically, having a broken ankle saved Kabu’s life. She was rescued and will never work again. Even after years of abuse, Kabu does not hate humans. She is a loving, gentle creature with bright brown eyes. I will visit her again one day, when we are both old ladies. 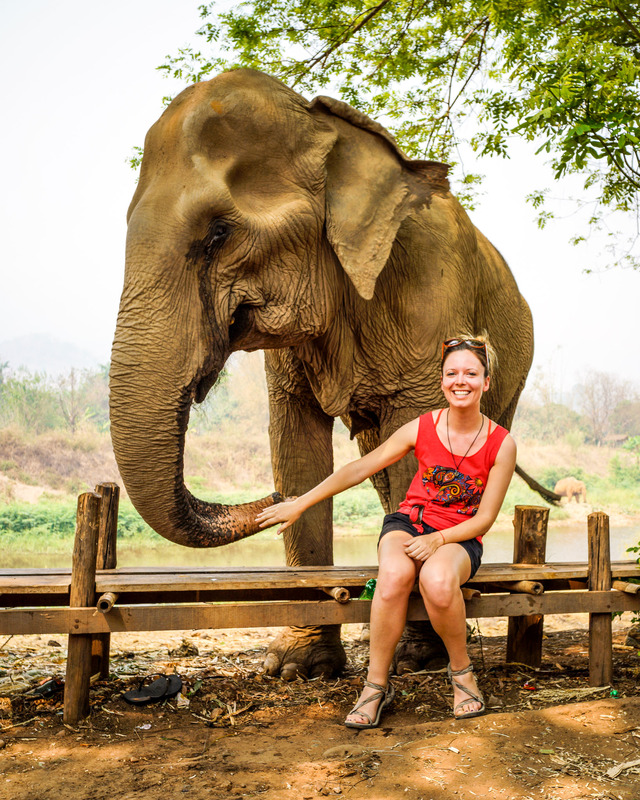 I strongly suggest visiting an elephant sanctuary in Thailand! Please don’t ride the elephants in Thailand. 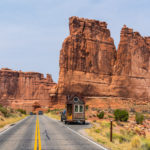 I was able to connect with the animals, far more than I ever thought possible, while standing firmly on the ground. You will fall in love with these intelligent creatures. Kabu thanks you for not riding the elephants. Good to see you with the herd..